Vinyl cover provides heavy-duty protection. Covers the grill and a double side burner or beverage center. Keeps debris and rainwater off the grill. If you have a double side burner on your built-in grill, you know the challenge of finding a cover big enough to actually cover all the components. PGS makes a cover that more than meets the challenge. This vinyl cover is made from heavy-duty materials that won't fade or wear out under harsh weather conditions. 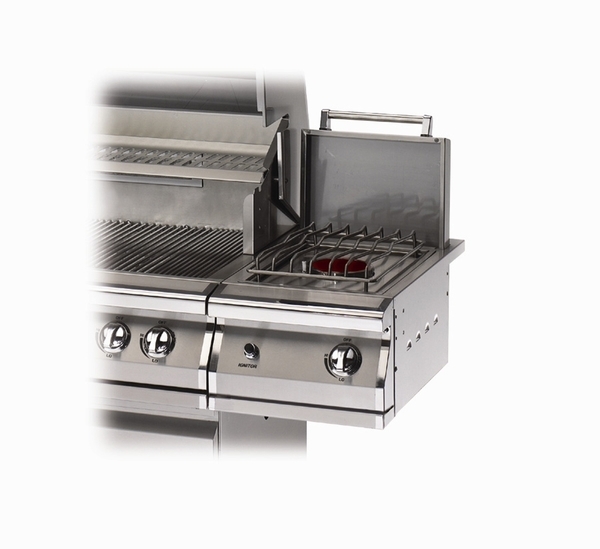 It is specially designed to cover not only the grill but also the double side burner for maximum protection. When you've invested in a high-quality product, you want high-quality protection; that's just what PGS gives you with its line of form-fitting grill covers.